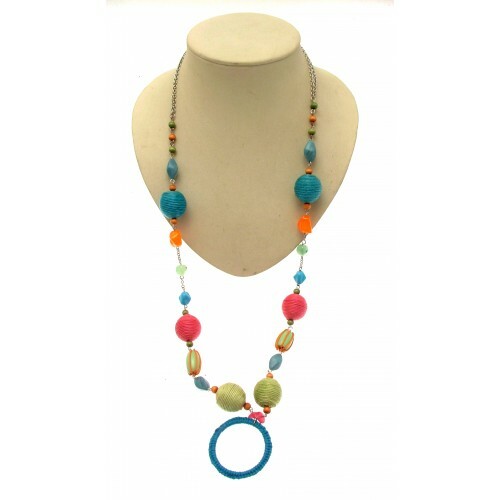 Vibrant ladies fashion necklace on a white coloured metal. 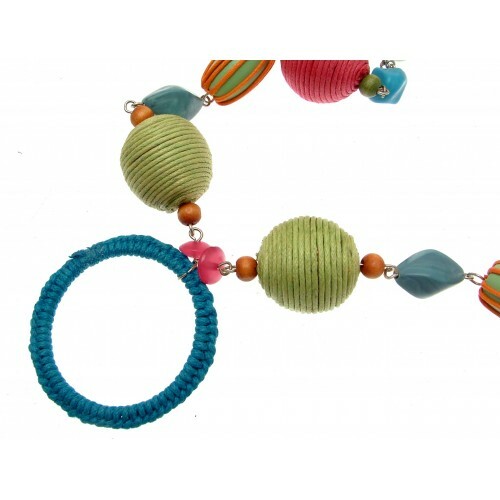 Chunky beads in pink, blue and green. 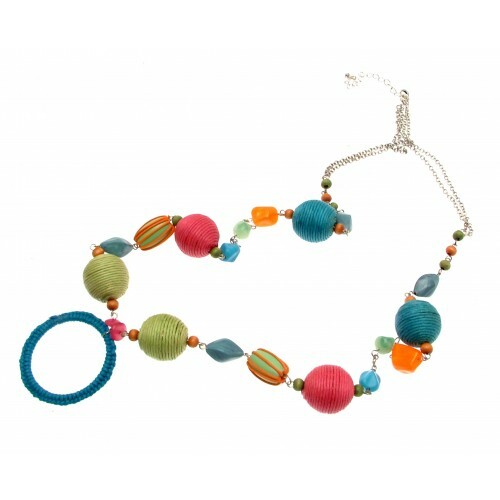 Necklace length measures approximately 30 inches or 76 cms. Ladies chunky style wooden bead fashion bracelet. Bracelet stretches to allow over a standard sized .. Very striking piece of ladies fashion jewellery, gold coloured metal. Large link chain, fastened at ..
Dainty ladies fashion necklace in a gold coloured metal, faux pearl bead design with a single dragon..
Ladies fashion necklace in a gold coloured metal, with hoop design. Hoop measures approximately 5 cm..